This chair's minimal detailing, and sleek lines embody contemporary ambiance. Neutral fabric and complimentary accent pillows make it easy to mingle this group with any modern decor. The Medina Chair by Emerald at Great American Home Store in the Memphis, TN, Southaven, MS area. Product availability may vary. Contact us for the most current availability on this product. Cool and contemporary, this casual stationary living room group is stylish, supportive, and satisfying. 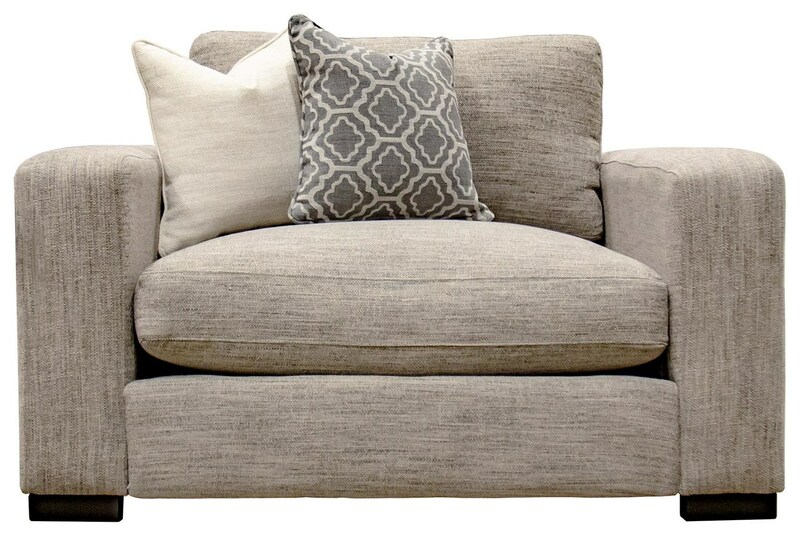 No more losing things between the seats - both the loveseat and sofa feature a single seat cushion for extra modern flair. The Medina collection is a great option if you are looking for Contemporary furniture in the Memphis, TN, Southaven, MS area. Browse other items in the Medina collection from Great American Home Store in the Memphis, TN, Southaven, MS area.